अरे यायावर रहेगा याद ?. Travel, Defence, Politics. The tribal hordes armed and supported by the Pakistan Government and led by officers of the Pakistan army that entered the State from Hazara district in the N.W.F.P. along the Abbotabad – Muzaffarabad – Domel- Srinagar road on October 21, formed the spearhead of the final and the biggest blow of Pakistan to the State. Its objective was Kashmir valley and the capital city of Srinagar. Almost simultaneously new thrusts were made all along the Kashmir – Pakistan border including Gilgit. These other thrusts did not get much publicity because they were directed against comparatively little known though strategically equally important parts of the State. They ultimately succeeded in gaining their objective in Gilgit, and the western districts of the State. But their master plan to occupy Srinagar and Jammu simultaneously and present the world with a fait- accompli before any outside help could come to the State was foiled by the timely arrival of air-borne Indian troops in Srinagar and by the popular resistance put up by the people of Jammu. In order to appreciate the magnitude of the threat and the success it achieved, one should have a clear picture of the situation on the ground. The Kashmir-Pakistan frontier is over 500 miles long, a major portion of which is quite ill-defined. Beginning from near Pathankot it runs along the districts of Sialkot, Gujerat and Jehlam of the West Punjab; then turning North it runs along the Jehlam up to Kohala at which point that river leaves the State to form its western boundary. From Kohala onward this frontier runs along the Hazara district of the North Western Frontier Province, and then touches the tribal area of Yagistan and the frontier state of Chitral, which had already acceded to Pakistan. During the British regime the State had not to worry about this long frontier. The prestige of Dogra arms established by Maharaja Gulab Singh coupled with British protection was enough to keep in check the turbulent elements within and without the State. The defense of the Northern frontier of the State used to be a joint responsibility of the British and the State troops stationed in the Gilgit cantonment. The ruler of Chitral owed allegiance to the Maharaja of Kashmir as well but with the disappearance of the protecting hand of the British and the establishment of a hostile and aggressive state like Pakistan along this long frontier, the problem of defense was bound to become difficult for Jammu & Kashmir. The situation was made all the more difficult by the nature and affinities of the people inhabiting both sides of the Western frontier. The people of Mirpur-Poonch area belong to the warlike Rajput and Jat tribes. They have close social, economic and religious ties with the inhabitants of the adjoining districts of Jehlam, Rawalpindi and Hazara in Pakistan. They had been converted to Islam during the Mughal times. Many of them wanted to be reconverted to Hinduism during the twenties of the present century. But the conservatism of Brahmins and Hindu Rajputs did not allow such efforts to succeed. During the thirties they came under the influence of the Muslim Conference. The politics of the adjoining districts of Jehlam and Rawalpindi also began to influence them. The result was that most of them became supporters of Pakistan after its establishment. Many of them being ex-service men possessed fire arms and were adept in their use. It was, therefore, easy for the Pakistani agents to instigate them to rebel against the authority of the State. The armed forces of the State which had to defend this long frontier, as also to meet the threat of internal uprisings were quite inadequate to meet the situation. The strength of the State Army was nine infantry battalions, two mountain batteries and one cavalry squadron. The two mountain batteries were retained by the British Indian Government after the end of the Second World War because they had given a very good account of themselves during the war. Of the infantry battalions three the 2nd, 4th, and 6th J & K infantries, were mixed- half Hindu Dogras and half Muslims from Mirpur and Poonch areas. These battalions had been spread all along the frontier. 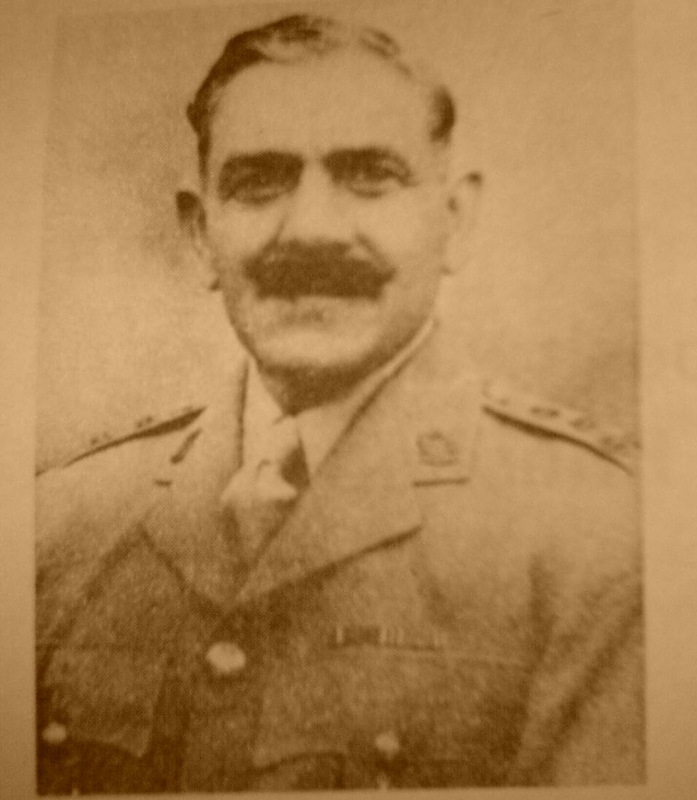 At the time of invasion the mixed 4th battalion was in charge of the Muzaffarabad-Konala sector, the 2nd of a part of Mirpur-Poonch sector and the 6th had been ordered to proceed to Gilgit to assist Brigadier Ghansara Singh who was appointed military Governor of that region after the withdrawal of the British Srinagar cantonment. At the time of invasion he had only one cornpany of the 4th infantry battalion besides the Maharaja’s personal guards. The State troops were efficient and brave. But they were ill-equipped. Even the quota of arms and ammunition allotted to the State had not been obtained in full for the last two years prior to the invasion. The Pakistan Government had withheld all supplies meant for the State forces after the partition. The Indian Government which had been approached for arms and ammunition had agreed to supply them, but none had been sent until the fateful day of invasion. To crown it all, the loyalty of the Muslim personnel of the armed forces was doubtful. Information was received about plans of sabotage and desertion prepared by Muslim officers of the State army in collaboration with Pakistan authorities. Their names had been supplied to the Maharaja and he had been requested to disarm and disband them in the interests of the security of the State. But the State Government did not, perhaps could not do this because it had no reserves and they feared mutiny. Colonel Narain Singh who commanded the 4th Battalion in charge of Kohala Muzaffarabad sector was, however, warned to remain alert and careful about the Muslim personnel. But Narain Singh, who had commanded that battalion in the Burma campaign, expressed his full faith in his Muslim soldiers and officers. He had to pay a heavy price for this self-complacency and credulity. In view of these circumstances the rapid advance of the Pakistani hordes after they had once broken through the outer defenses should cause no surprise. Their main column, entered the State in the dead of night between 21st & 22nd of October, 1947. The Muslim personnel of the State pickets joined hands with them. They killed their Hindu comrades in their own tents and began to lead the convoy of trucks supplied by the Pakistan Government for carrying the invaders. They occupied the strategic Krishanganga bridge without much difficulty and entered the town of Muzaffarabad without firing a shot. The district officer Mr. Mehta was taken by surprise in his own house and shot dead in the presence of his wife and children for refusing to shout “Pakistan Zindabad”. A few of them simultaneously crossed over to Domel, the contluence of the Jehlam and the Krishanganga, through a suspension bridge. The Muslim pickets there joined hands with them and Colonel Narain Singh was shot dead in his own tent by his own Muslim sentinel in the early hours of the 22nd morning. The occupation of Domel brought both the roads leading to Srinagar from Rawalpindi and Abottabad under the control of the invaders, securing their supply lines. The road to Srinagar now lay open. The garrisons guarding the Kohala bridge found itself sandwiched between the hostile forces from across the bridge; those coming from Domel side made a hasty retreat toward Poonch. It succeeded however, in taking with it about ten thousand Hindus and Sikhs living in the Bagh area to Poonch town in safety. The Gallant Brigadier:- The raiders occupied Garhi the same day and started their advance toward Uri on 23rd. The few retreating Dogra troops resisted them at every step. But the odds against the defenders were heavy. Brigadier Rajendra Singh, then came forward to command the troops in person. He had orders from the Maharaja to fight till the last man to defend a bridge near Uri and stop the advance of the enemy. Brigadier Rajendra Singh rose to the occasion and maintained the prestige of Dogra troops. He stemmed the tide of enemy advance near Uri for two days. But some of the raiders led by the Muslim soldiers of the State army managed to out-flank the Dogra troops. They were able to put the Mahura power-house, which Supplies electricity to Srinagar, out of order on the night of the 24th, and then attacked the State troops led by Raiendra Singh from behind. Rajendra Singh, like a gallant soldier that he was, fought the enemy to the bitter-end. He and all his 150 men were cut to pieces in this action. But they will live in history like the gallant Leonides and his 300 men who held the Persian invader at Thermopylae. The leaders of the National Conference were in a fix, they could not depend on their followers, once the Pakistani invaders moved. They could turn Muslim Leaguers overnight. The Sheikh had already sent his family to Indore for safety. He himself slipped away to Delhi. Before taking any action on the Maharaja’s requests for help the Government of India decided to send its Secretary to the Ministry of States, Mr. V.P. Menon, to get first hand information. He flew to Srinagar on the 25th of October. He soon realized the desperateness of the situation. The invaders after overcoming the gallant resistance of Brigadier Rajendra Singh had reached Baramulla, the district headquarters at the entrance of the valley, where they were welcomed by Ch. Faiz Ullah, the Deputy Commissioner of the district, who was in turn appointed governor of the area by the invaders. Had they continued their advance they could have reached Srinagar in 24 hours. Mr. Menon, therefore, advised the Maharaja to leave immediately for Jammu to be out of reach of the Pakistani invaders. This was timely and correct advice because the aid could be sent from India only after the Maharaja had acceded to India by signing the instrument of accession. That he could not have done, if he had fallen in the hands of Pakistani invaders. The Maharaja left Srinagar for Jammu that very night and Mr. Menon and the Kashmir Premier, Mr. Mahajan, flew to New Delhi. The Maharaja’s departure for Jammu on the advice of Mr. Menon who spoke for the Government of India, was later exploited by Sheikh Abdullah who declared that the Maharaja had run away and that he had ‘Picked the crown of Kashmir from dust’- What was worse, Pt. Nehru who was supposed to know the true facts also repeated the same allegation against the Maharaja to lower him in the estimation of his own people and add grist to the anti-Maharaja campaign of Sh. Abdullah. That also proved his personal vendetta against the Maharaja.